Last night, we headed to Take Care (formerly Be Clean) in Georgetown for their unofficial unveiling and media preview party! We snapped Take Care co-founders Becky and Trevor Waddell with their daughter Lily. 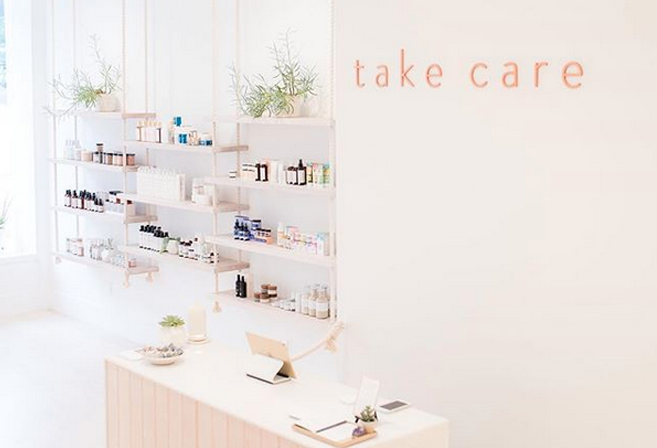 Guests enjoyed an exclusive reception showcasing the brand-new store, which is D.C.’s first independently owned, all-natural beauty and wellness boutique.